During our monthly roundtable sessions we have a breakout group for Tiger Leaders. This is open to all Tiger Den Leaders and Tiger Adult Partners. 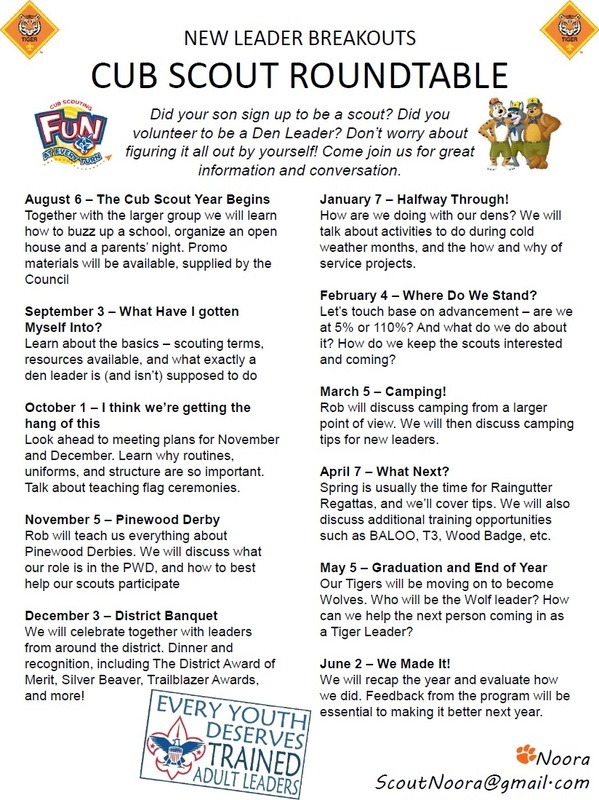 We discuss the Cub Scouting program from the Tiger perspective, and look at what makes the Tiger program unique.